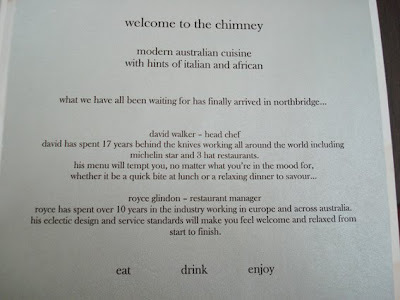 Yesterday I went to the newly opened restaurant called The Chimney. 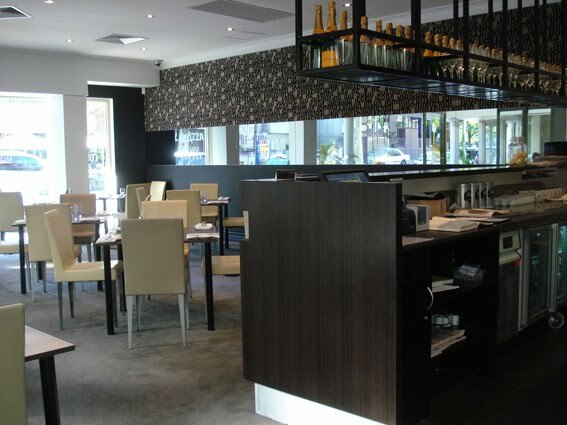 It is located in Northbridge opposite Mez Restaurant on James Street. 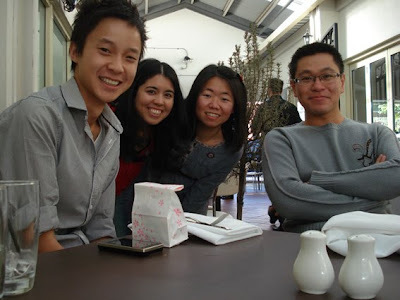 I went there with a couple of friends (we call ourselves the Tafe drop outs :P) from the Japanese Language class. It was months ago since I last saw them! 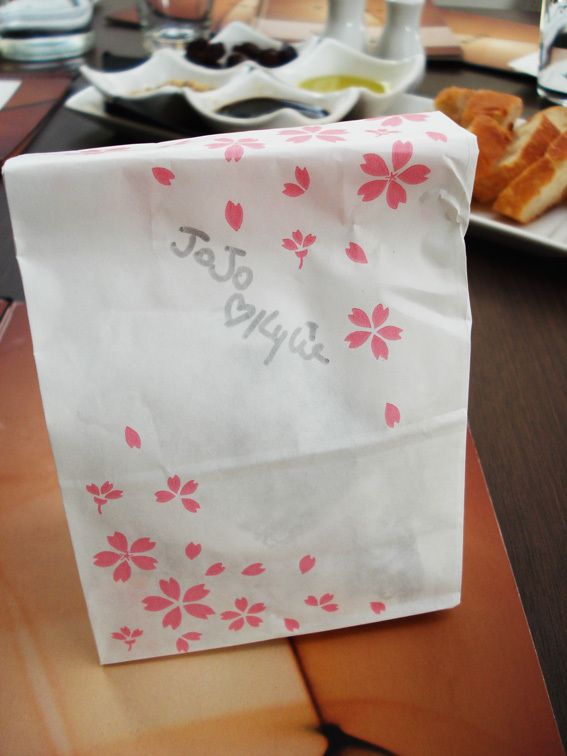 One of my friend Kylie just came back from Japan holiday not long ago and she brought us a cute lil gift from Japan! Candies and cute badges! LOVE IT! While we were busy chatting, we got served a plate of bread with dips and olives. 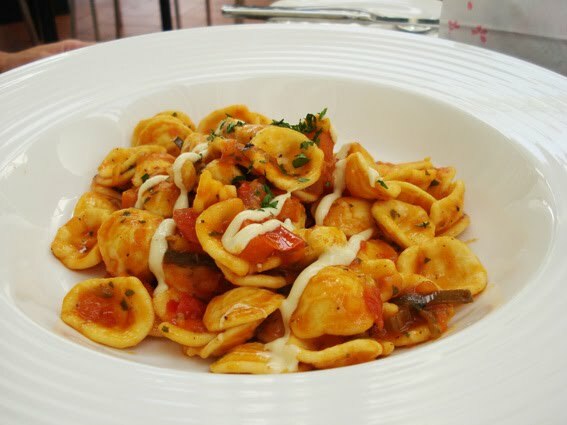 Nice starters. 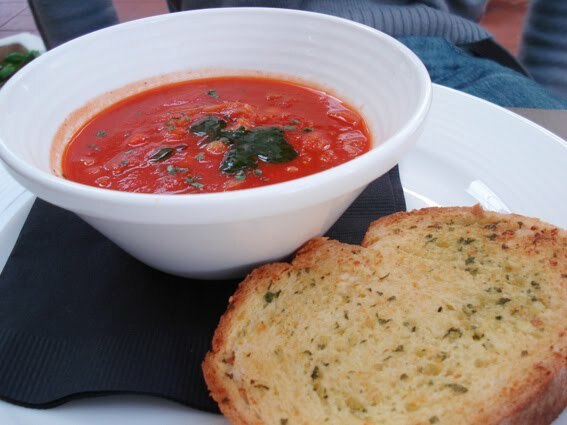 This is Steven's Minestrone soup with garlic bread. 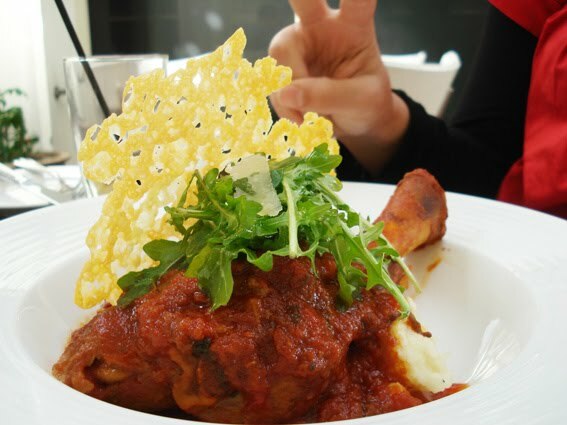 Kylie and Steven got the Mediterranean Braised Lamb shank with shiraz, tomatoes and basil, roast garlic mash and parmagiano regiano crisps. I like the Parmagiano Crisps. Very creative and tasty. 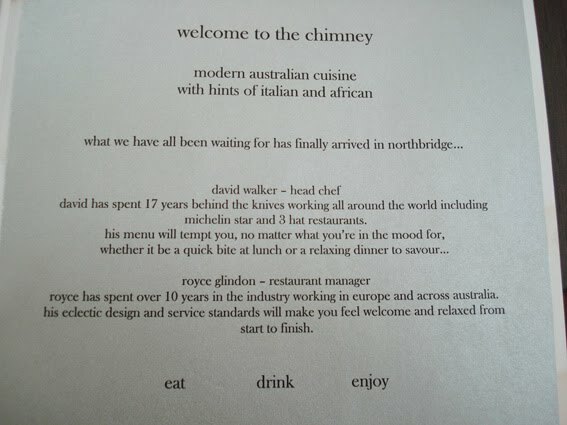 The lamb was tender and juicy but I think the flavour can be more complex. 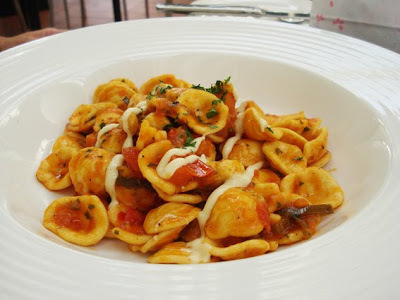 Kien got the Petite pasta bourride with chicken, tomato, saffron and herbs served with aioli and spiced red pepper essence. I tried 1 piece of it but I couldn't really remember the flavour of it. But Kien finished the whole plate so I think it's good? 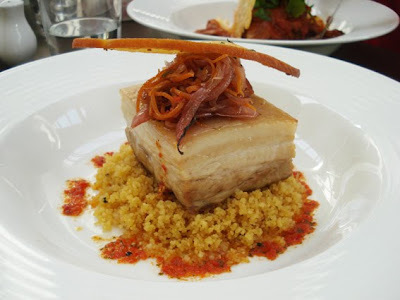 For me, I got the Chermoula Style slow cooked pork belly, zingy cous cous with red onion & orange, coriander marmalade. For this, I was quite disappointed to see that the skin wasn't crackle. But the pork taste lovely. 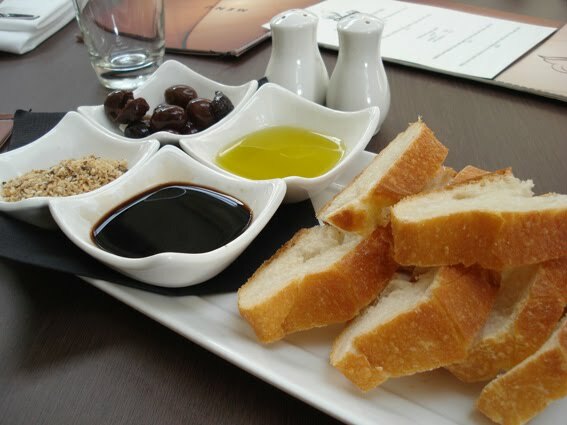 I particularly like the toasted piece of bread of top together with the cous cous and a lil bit of onion, very nice combination. I think the onions could be caramelised a lil bit more. 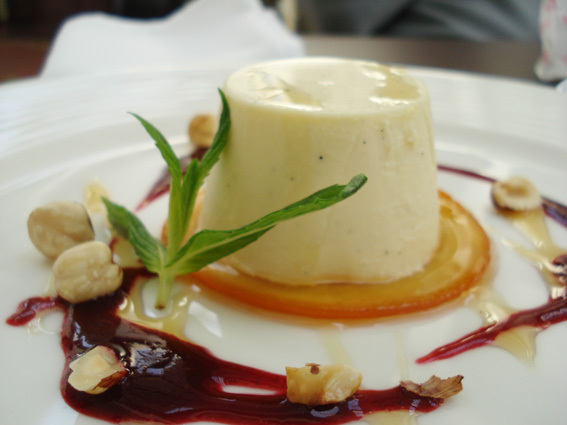 and Traditional panna cotta, berry compote and biscotti. Dessert was alright. 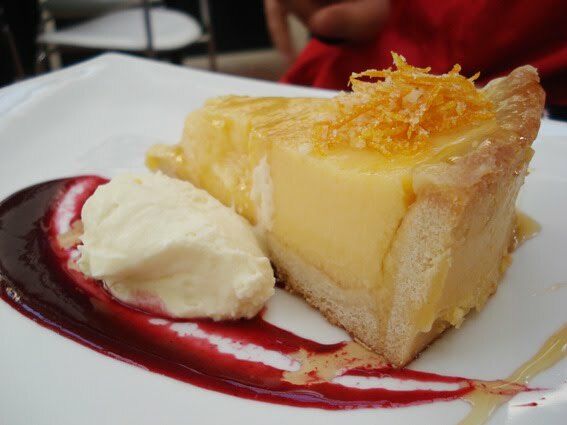 Sorry to say, I don't really like the lemon tart. We thought the pastry was not cooked and panna cotta with with orange doesn't really go well together. I think we got unlucky that day because we were served by the not so happy waiter. He didn't smile at all and look like he is angry at something. 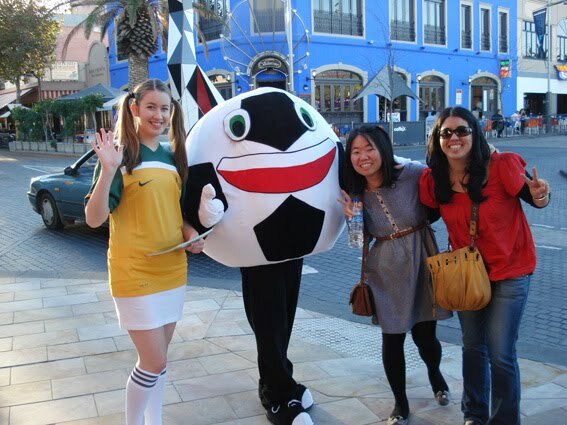 But that's alright, because we were so happy to see each other, we kinda forgot about his angry face! I love google reader! i got the update so fast and so is yours!